Kurt Galitski awarded for professional excellence and exceptional client satisfaction. Five Star Professional is pleased to announce Kurt Galitski, Coldwell Banker Residential Brokerage, has been chosen as one of Orange County’s Five Star Real Estate Agents for 2017. Five Star Professional partnered with Orange Coast magazine to recognize a select group of Orange County-area real estate agents who provide quality services to their clients. Less than one percent of real estate agents in the area were selected. Kurt Galitski will be featured, along with other award winners, in a special section of the December issue. “Having received this award for seven years truly speaks to how my team and I do the business. As a longtime resident and businessman in Orange County, my decision to get into real estate 16 years ago was very calculated - deliver a better experience for clients,” said Kurt Galitski of Coldwell Banker Residential Brokerage. Five Star Professional has been conducting market research to define and promote professional excellence in service professionals since 2003. Its Five Star Real Estate Agent award program is the largest and most widely published real estate agent award program in North America. Agents are measured using an objective, in-depth research methodology with significant focus on customer feedback and overall satisfaction. “The homebuying and selling process can be very stressful. Five Star Professional works hard to identify those outstanding real estate agents that can make all of the difference. Five Star Real Estate Agents are experienced professionals that get top marks from their clients and get results,” Josh Kimball, VP of Marketing, Five Star Professional. 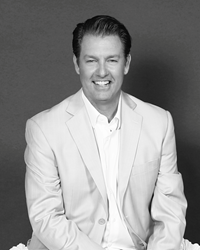 See Kurt Galitski’s Five Star online profile here! “Our business model is simple - serve the client. The success is in our strategies. Everything we do is client-centric, from the time we meet with a client, to the time we close escrow and the years beyond that to the sale or purchase of their next property. We have a very distinct set of strategies that deliver record-setting results no matter where we go or what side we’re on, buying or selling. Our goal is to develop relationships for life and we have fun while we’re doing it,” said Kurt Galitski of Coldwell Banker Residential Brokerage. Real estate agents are awarded based on an in-depth research process. Thousands of consumers are contacted to rate their real estate agent on ten evaluative criteria including customer service, market knowledge, negotiation, closing preparation and overall satisfaction. Beyond a qualifying client evaluation score, real estate agents are evaluated on objective criteria such as experience, production levels and disciplinary and complaint history. There is no fee to be considered or awarded. Visit http://www.fivestarprofessional.com for more information.